Mom, the Intern: Does God give us challenges we can't handle? Does God give us challenges we can't handle? This morning, my friend's little preschool-aged boy was diagnosed with leukemia. She shared a somber black and white picture of him in a hospital bed on social media, explaining the upsetting situation. The well-wishes came pouring in -- support and love from everyone she knows. It took me back to when my mom and I first shared her breast cancer diagnosis. So many kindhearted remarks flooded our posts to the point it was hard to acknowledge them all. But we appreciated each one so much. One comment that seems to pop up every time something tragic like this happens is along the lines of, "God doesn't give us anything we can't handle." I used to take great comfort in that statement, and I know it is intended to strengthen people. However, over the years, I've found it doesn't quite ring true, and that there's a greater message of comfort we fail to hear when we share this one instead. In other words, He laid out the consequences for them, but gave them the freedom to choose. At that moment, He set the stage for all humankind and agreed to step back, presenting humanity with the gift of agency. And this plan has not changed since, nor will it ever. The "God doesn't give us anything we can't handle" statement causes me to imagine God up there somewhere with a clipboard, saying, "Nancy's going to get cancer; Jimmy's wife is going to die and meanwhile, Susan will have a particularly nasty hangnail." It's a juvenile thought, one with which we are content to reconcile ... but only if we're Susan with the hangnail. It's not until you're the one going through a particularly difficult trial, like Jimmy's or Nancy's, that you start to wonder if God actually bestowed this terrible challenge upon you Himself. When my mom first received her cancer diagnosis, I was a bit of a Susan. I'd been poor, but never homeless. I'd experienced the loss of some family members, but not immediate ones. I'd endured a few painful childbirths but nothing debilitating, and we all survived. I'd suffered with anxiety disorders and depression, but I actually did believe God made me that way. But at my own mother's diagnosis of cancer, I started to think more seriously on that idea. I asked myself, Did God actually plant the cancer cells in my mom's body? Did He make it so that, despite regular check-ups and screenings, the cancer would not be detected? I came to doubt that He did. He undoubtedly knew it would happen, as He knows all. But I just don't think He caused it. It seems more likely to me that, once the world was created, He set things in motion and then stepped back. It is not atheistic to believe He allows the laws of science and nature to govern His world -- after all, He created it. They are HIS laws. And I believe His willingness to stay His hand, even though He has the omnipotent ability to take control of every situation, is what makes Him divine. We are not God's voodoo dolls -- we are His children! He understands the importance of our mortal trials in refining us and preparing us to inherit all He has, but he is not some masochistic puppeteer who relishes in our afflictions. I believe He does intervene sometimes to bestow miracles, but I also believe they have their purpose, just as our trials have theirs. So, if God allows the laws He has set forth to work in their way and doesn't often intervene, isn't it reasonable to believe we may actually encounter impossible challenges in our lives? Trials we actually can't handle? Yes, yes we will. Of course we will. And we do, every single day. This is why we have a Savior. God's role in the Plan of Salvation is to provide us with spiritual bodies and prepare for us a place to live out our mortality. In this preparation, He created laws which govern the world. He also created commandments for us to follow -- but we are free to choose not to follow them if we so please. God is also a spiritual mentor, whom we call upon through the power of prayer. He communicates back to us through the Holy Spirit. He serves as our guide through mortality. He is our Father. But God has a Son -- our Savior, Jesus Christ. And it is He who redeems us from the laws of the universe. Here, He is telling us exactly how to conquer the unconquerable, to win a race we can't actually win, to climb an insurmountable mountain, to survive that which is terminal. 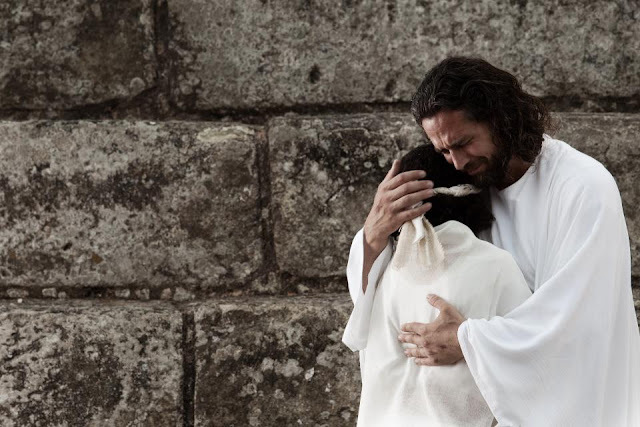 The answer: The atonement of Jesus Christ. Actually, life in its entirety is impossible without our Savior. If it weren't for his everlasting atonement, we would be doomed from the start. Hopeless failures. But, He paid the ultimate price for our souls. I don't know how He did it, but I know why: because He loves us. And God loves us. The gift of a Savior was the only way to allow us freedom to choose, but to also provide salvation from death and redemption from our mistakes. Bad things happen. They happen to good people and bad. But good things happen, too. Such is the condition of mortality. As the saying goes, "it's all part of life's rich tapestry." When we encounter hardships along our earthly journey, we don't have to survive them alone. We have God's spiritual guidance and His matchless power. We have Christ's enduring sacrifice. And we have each other -- mortal angels waiting to bear one another's burdens, comfort those who need comfort and mourn with those who mourn. Yes, we will face trials we can't endure -- not on our own, anyhow. But we can endure them with heavenly help. This is the message we need to share. And sometimes, we don't survive. Sometimes our trials actually kill us and the people we love. But -- blessed day! -- Christ's Atonement covers that, too. Through Him, deaths dark shadows are put to flight. We are not lost at our last breath. We will all rise again. Though this knowledge brings great comfort, death's sting is still too much to bear. The overwhelming ache of loss threatens to strangle us. At the loss of a loved one, we can't breathe, we can't move and we can't go on in the wake of such sorrow. Grief is impossible to overcome -- except through Him. When it comes down to it, Christ's sacrifice makes our pain and suffering worthwhile and purposeful. His atonement allows our hardships to refine us and make us more worthy. Without the possibility of repentance and resurrection, mortality would simply be an exercise in torture. But because of them, life is an intense yet crucial preparatory experience, readying us for what's on the other side. It's comforting to believe that God wouldn't give us anything we can't handle. But it's a naïve belief. The real, lasting comfort comes in knowing we will face impossible hardships, but with our Savior's help and our Heavenly Father's guidance, we can overcome them. Maybe not in the way we thought we would overcome them, but we can win nonetheless. It makes me happy to see your blog pooping up on my feed so often lately! You've got a gift for words and I loved this post so much. I love this so much, you put my feelings into words perfectly! Thank you! Me too, Rachel! I agree.